The Russian government has proposed a giant, 12,910 mile (20,776 km) roadway to be connected, linking New York City and London by land. The roadway would contain some already built roads but would also consist of a large building project that could cost as much as $3 trillion. 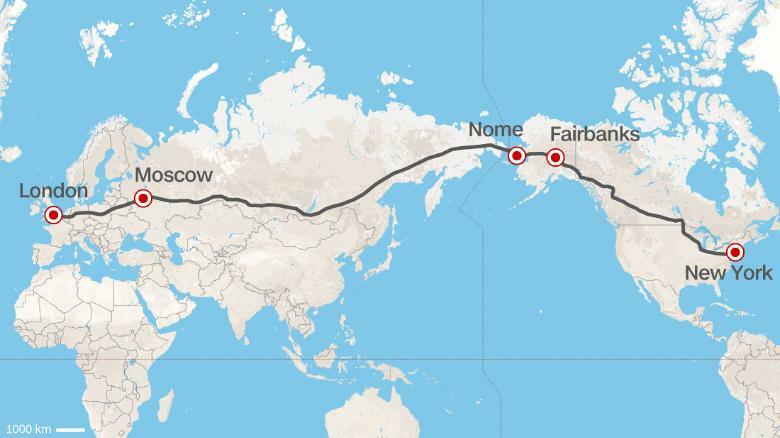 The roads would be laid along side the Trans-Siberian Railway—the longest railway in the world.